Hong Kong, it’s different every time. I’ve been to Hong Kong quite a few times. In the past three years, annually, and before that, every now and then. Some people argue that once you’ve seen one big city, you’ve seen them all. On the outside, I agree, but what they don’t realize is that cities are like people too. On the outside they all share the same physical characteristics: densely populated, tall buildings, noise, people everywhere, a frantic vibe that runs through the air. But deep on the inside, every city has its own unique personality, a pulse only those who live there understand, a way of life not evident to the passing tourist, its own smell, sounds, sites and a magic that you cannot find elsewhere. This time I return with my travel buddy Liz. We have traveled together since college. We explored as much of London as possible in a 2.5 day weekend and made it back in time to attend a Monday afternoon class of the Fundamental of Aerodynamics (oh to be young again!). We’ve taken weekend trips to Vermont to learn how to snowboard, trips to the depths of Jersey to run, to DC, just cause, and to Seattle for the hell of it. No longer in college, and now with more responsibilities in life, our traveling has decreased. So this trip was going to be, in the words of Barney Stinson, legen…wait for it…dary. I’ve always considered myself fairly well versed in Chinese culture but there were a few things I wasn’t quite prepared for when I visited Hong Kong. 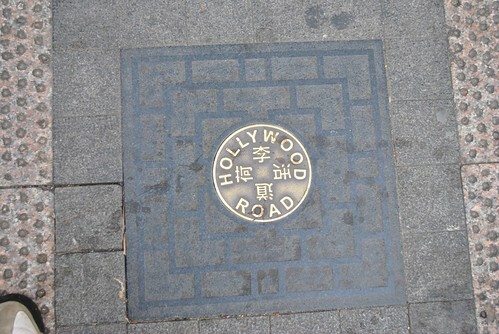 Here are a few things that an American visiting Hong Kong for the first time may want to know. 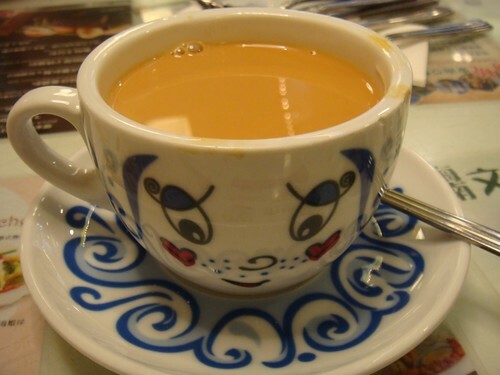 At many restaurants, you wash your dishes with hot water or tea before you use them. Each table setting will have a small bowl, ceramic/plastic spoon, tea cup, chopsticks and most will have a small plate. Poor water/tea into your tea cup and swirl it around. 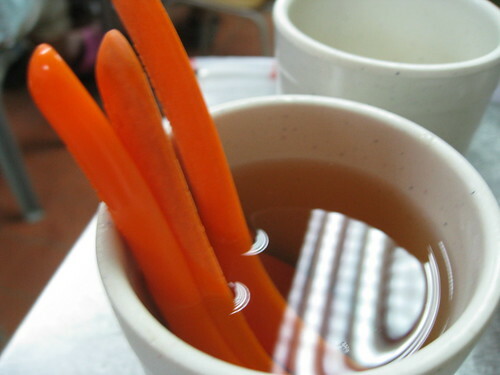 Then hold your chopsticks over the bowl and pour the water/tea over them. Swirl the water around the bowl and rinse off the spoon. Most places will provide a large bowl where you dump the water you just used. Always eat out of your bowl, not your plate (if you have one). The plate is where you put things you aren’t going to eat (such as bones or shells). When eating rice or noodles, pick up the bowl and hold it close to your face. Don’t be afraid to shovel in the last little bit of rice that you just can’t pick up with your chopsticks. You don’t need to cut or twirl noodles. Just pick them up and eat. The ends can stay in the bowl. Hot tea is served with lunch and dinner. You should always pour tea for others before pouring a cup for yourself. If someone pours tea for you it is polite to tap 2 fingers on the table to say thank you. If you are eating something that has bones or other parts you don’t eat you can spit those items directly onto your plate. If you don’t have a plate (and it is a casual restaurant), you can spit right onto the table. Yes, I said you can spit your food out right onto the table. Of course this doesn’t apply in upscale places! Most meals, especially with a group are served family style. If there aren’t serving spoons (most of the time this is the case), use your chopsticks. Don’t be surprised if your hosts serve you (they are being polite). You’ll see lots of familiar stores but they aren’t quite the same as home. You’ll find 7-11 and Circle K on almost every block. They are smaller and nicer than the ones in the states. Pizza Hut is a sit down Italian restaurant complete with tablecloths and flowers on the table. All McDonald’s are McCafes complete with baristas. 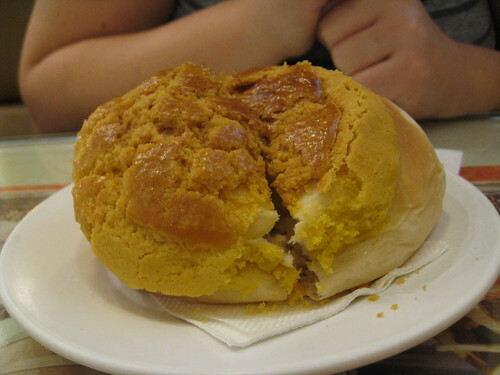 Bo lo bau or pineapple bun is a popular sweet in Hong Kong. It doesn’t actually contain any pineapple but has a sweet, yellow topping that looks like a pineapple. You’ll be able to find bo lo boa at any bakery or breakfast spot. Be sure to try bo lo yau…a pineapple bun with butter. 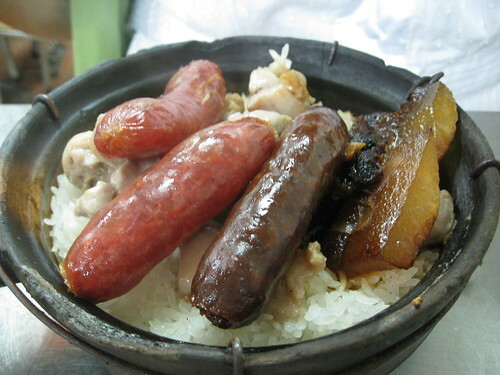 Chinese culture has a philosophy about food. Certain foods are deemed hot and others cold. This has nothing to do with temperature but instead is about how the food affects a person. 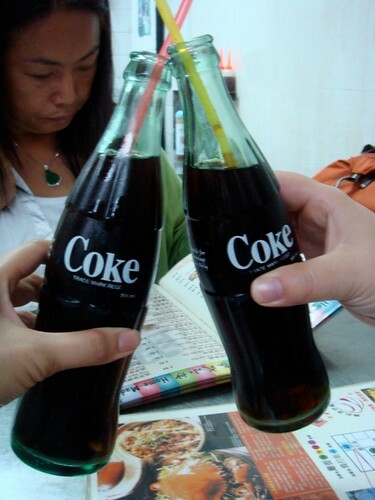 Chinese people try to balance their consumption of hot and cold foods. Ice water skews this balance and no one drinks it. If you are served water, it will be hot. Asking for ice water will definitely tip you off as a foreigner and you may get some strange looks. 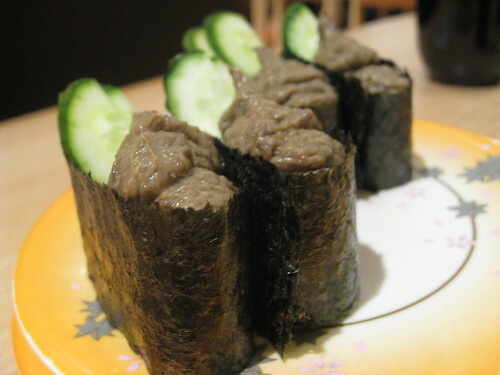 Be sure to try some sushi while you are in town. Thanks to a plentiful supply of fresh seafood, it is less expensive than in the States. You’ll find the standard California and Philly rolls, but try some of the more unique ones. Crab head anyone? This is not a dish, but the name for a particular type of restaurant. These used to be completely outdoors, but the government forced most of them inside. Usually there are several dai pai dongs in a row and then often share a kitchen. As you walk by they’ll beckon you inside, bragging about their specials. It doesn’t really matter where you eat. Just pick one that is busy. There’s not much ambiance, but the food is delicious. This is a great place to try claypot rice or oyster omelettes. You can think of Dim Sum as the Chinese version of brunch. It is also called yum cha which means tea tasting [Is that right? I couldn’t quite remember. (It means drink tea – SL)] Most people go around mid-morning for this leisurely meal. In a very traditional restaurant, ladies with carts will dart around the room with different dishes. When you see one you like you call them over and they stamp your card to indicate the price of what you ordered. In more modern places you order from a menu. Dumplings (especially shrimp), fluffy buns, congee, and chicken feet (one of the only things I don’t care for) are all common on dim sum menus. Sylvia always tells me to order something that you wouldn’t eat at dinner to ensure that you aren’t getting last night’s leftovers! 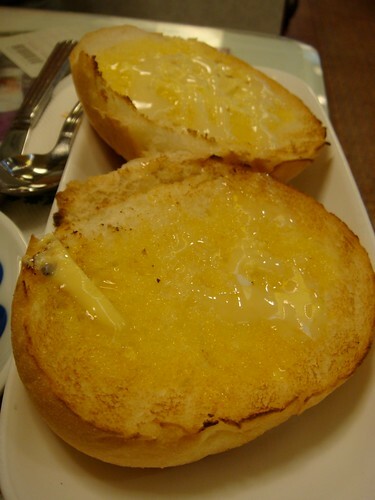 It may sound like an odd combination, but a toasted bun with butter and condensed milk is a popular breakfast item. It’s not at all healthy but it is delicious! 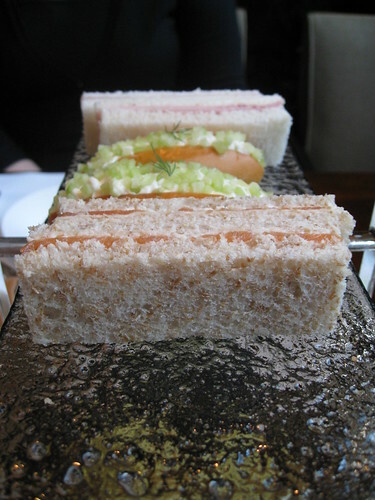 Afternoon tea is a tradition carried over from Hong Kong’s time as a British colony. You can find anything from very traditional tea sets (complete with finger sandwiches) at the fanciest hotels to simpler ones with a heavy Cantonese influence. The Octopus card is a reloadable card that can be used on public transport, many restaurants, some markets and at convenience stores. You fill the card with cash and can reload at any convenience store. To use, simply swipe across the designated pad. You don’t even need to remove it from your wallet. Hong Kong has a variety of inexpensive public transport options. There are numerous ferries. 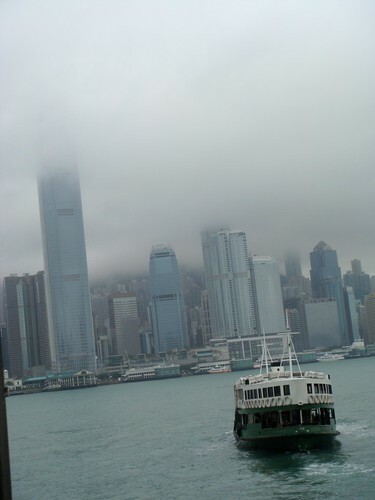 Some travel from TST to Central while others go to the outlying islands. The MTR (subway) is color-coded and easy to use. The fare is based on the distance you travel. In Central, there are a small double decker electric bus/trains, affectionately called the “ding ding” by the locals. There’s also a network of light buses and double decker buses. The light buses are easily recognizable by their green roofs. They hold only 16 passengers and once they are full they don’t make any more stops. Look for the sign in the window to tell you if the bus is full or not. The double decker buses are a little less expensive and a little slower but also easier to use. They make all stops all the time (and the stops are announced. 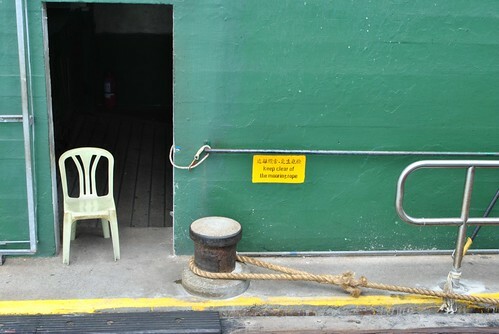 Sit in the front seats upstairs for a great view. When getting on or off public transport or even walking down the street you need to be a little aggressive. If you hesitate, people will go in front of you. You will be pushed (a little) and you may need to push back. I spent several years commuting to and living in Manhattan and I found Hong Kong-ers to be much more aggressive than New Yorkers. Always bargain at the markets. The price listed is negotiable. If you are a foreigner, you probably won’t get as good a price as a local. So, if possible have a local or Cantonese speaking friend bargain on your behalf. Or better yet, take Sylvia’s mom! You can also bargain at many smaller shops. Hong Kong is a mecca for shopping. There’s everything from street markets to uber high end stores. Home stores which carry decorative goods and gadgets are also popular here. You’ll find anything from clocks to books to picture frames to cute cell phone holders. 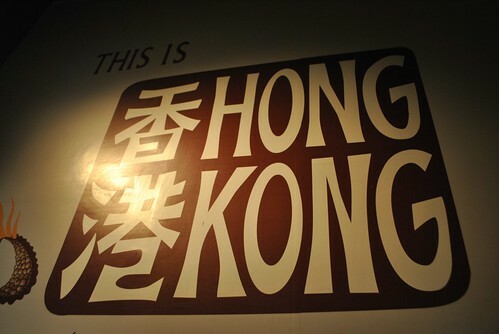 Be sure to check out Goods of Desire (GOD) which features many products made right in Hong Kong. Be sure to look up (and down) when shopping. Ground level real estate comes at a premium so it is very common for store to be located below ground level or as high as the 18th floor (or even higher). 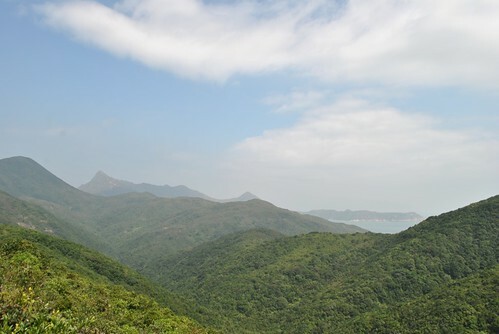 Hong Kong is made up of many different islands. 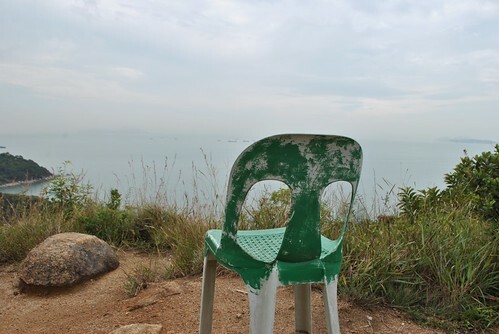 Lamma Island which is only minutes from the downtown district by ferry has only a small population and no roads. Each island has its own culture. Day 1 – Eat, Walk, Nap, Eat, Sleeep! Day 5 – More Rain!